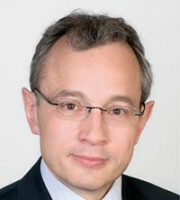 Daniel Plüss is a partner of ThomannFischer and heads the firm’s IP team. He practises in all fields of IP law, with a focus on patent, trademark and competition law. He advises both domestic and international clients and has been involved in numerous multi-jurisdictional disputes relating to the life sciences sector. In addition to representing clients before the Swiss courts and in arbitration proceedings, he regularly assists in the drafting and negotiation of IP-related agreements. Mr Plüss graduated from the University of Zurich in 1995 and was admitted to practice in 1997. After working for several years as a law clerk at a district court and the Commercial Court of the Canton of Argovia, he obtained an LLM from the University of Berne in 2000 and joined ThomannFischer the same year. He is admitted to all Swiss courts and speaks fluent German, English and French. Mr Plüss is the author of an IP and competition law statutes book, and IP law editor of a Swiss online legal journal. Industry publications such as Who’s Who Legal, Managing Intellectual Property’s IP Stars and the IAM Patent 1000 regularly rank him as a leading practitioner.